PDF version of this letter. 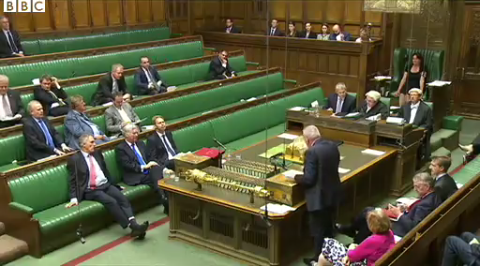 A response to the House of Commons debate on Britain and International Security, 2 July 2015. 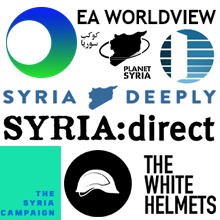 Two points need to be made clear following Thursday’s debate on possible UK action against ISIS in Syria: that protection of civilians must be at the centre of any action, and that the choice to be made in Syria is not between Assad and ISIS. The vast majority of the civilians killed by Assad are not in areas under ISIS control; they are mostly in areas under the control of Syrian rebels who are fighting both Assad and ISIS. The majority of those now being killed by Assad are being killed by air attacks. There is a chorus of calls from NGOs and civil society groups inside and outside Syria for action to stop the air attacks. In considering action by the UK in Syria, MPs must have protection of civilians foremost in their thoughts. Any action which fails to protect civilians will also fail by any other worthwhile measure. It is essential that MPs avoid political expediency in future foreign policy debates and instead face up to the consequences of past decisions on Syria. Those consequences include not just the rise of ISIS, but also tens of thousands more civilians killed by Assad forces, and a more than doubling of the number of Syrian refugees since the 2013 vote. The Assad dynasty has long nurtured terrorist groups to further its own ends. Assad’s support for terrorist actions in Iraq prior to 2011 is well known. His regime is currently dependent not only on ISIS attacking rebels and distracting the international community from regime crimes, it also relies on more direct support from Hizbollah and Iranian-backed sectarian militias. Accepting the continuation of the Assad dictatorship is not a path to defeating terrorism; instead it is a surrender to Assad’s strategy of promoting terrorism. (1) Syria: Deliberate Killing of Civilians by ISIS, Human Rights Watch, 3 July 2015. (2) Syrian Network for Human Rights monthly report, 1 July 2015. 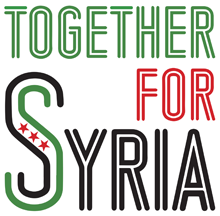 (3) NGOs unite in urging UN Security Council to take urgent action to stop civilian attacks in Syria, 25 June 2015. (4) Britain and International Security, House of Commons debate, 2 July 2015. (5) UK welcomes new EU Syria sanctions listings, Foreign & Commonwealth Office, 7 March 2015. (6) Syria, ISIS Have Been ‘Ignoring’ Each Other on Battlefield, Data Suggests, NBC News, 11 December 2014. (7) Syria: Isis advance on Aleppo aided by Assad regime air strikes, US says, The Guardian, 2 June 2015. (8) In Raqqa, Islamist Rebels Form a New Regime, Syria Deeply, 16 August 2013.